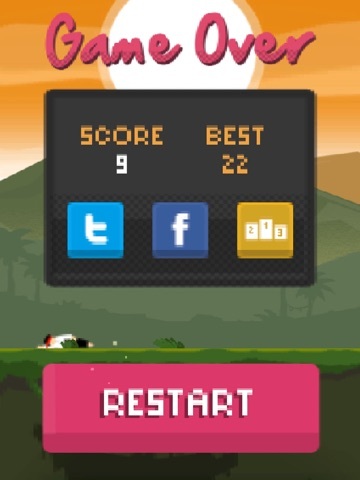 Discussion in 'iPhone and iPad Games' started by PeteOzzy, Mar 31, 2015. 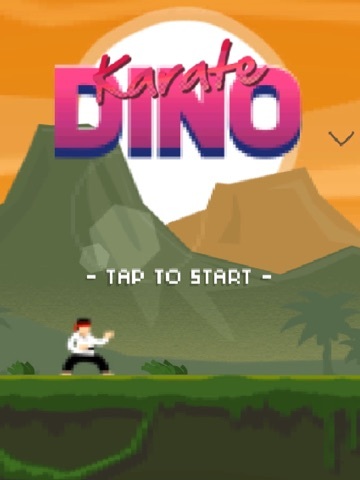 Karate Dino, first game by the small indie Studio Thinkmojo, is an 80’s inspired arcade video game where you, a Karateka, try to survive in a lost world fill with dinosaurs. 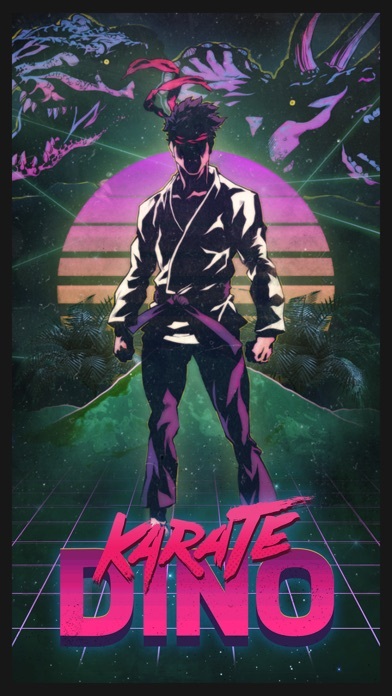 React fast, stay focused, and you might become the most valorous Karateka the world has ever known. But be careful, one mistake, and the T-Rex, Triceratops, Velociraptor, Stegosaurus or the many other creatures from the past will provoke your downfall. 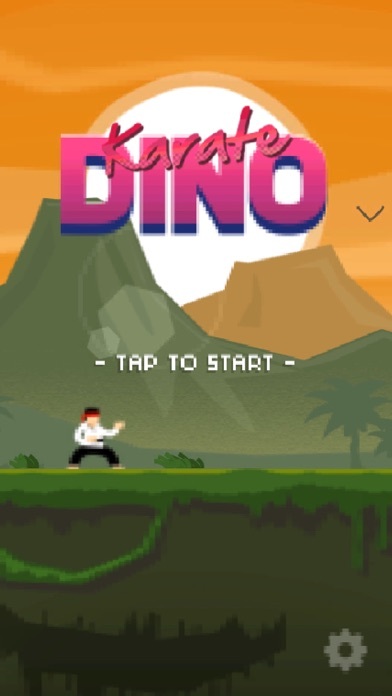 A simple one-hand / one-touch game filled with retro 16-bit pixel art and smooth animations, perfect for a quick and exciting game session. 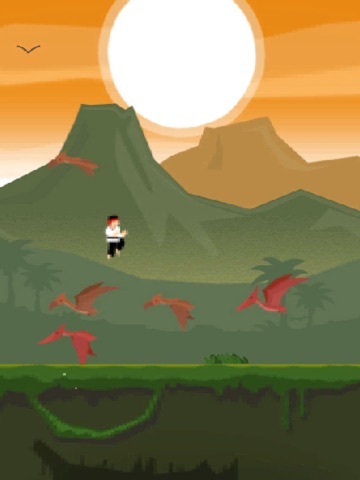 Pretty excited to announce the release of our little simple game. 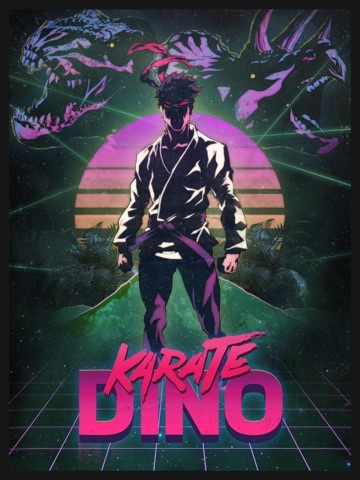 Karate Dino is an 80’s inspired arcade video game where you, a Karateka, try to survive in a lost world filled with dinosaurs. React fast, stay focused, and you might become the most valorous Karateka the world has ever known. But be careful, one mistake, and the T-Rex, Triceratops, Velociraptor, Stegosaurus or the many other creatures from the past will provoke your downfall. A simple one-hand / one-touch game filled with retro 16-bit pixel art and smooth animations, perfect for a quick and exciting game session. Hope you guy will like it! Download, share, rate at will!! 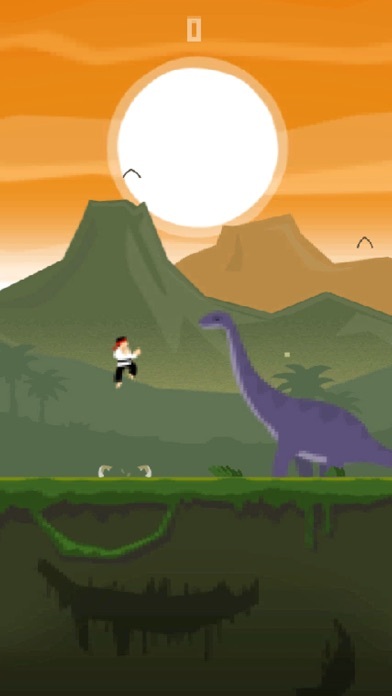 And more importantly, looking forward to your feedback... this first version is really simple, but we have many ideas to update the game (extra dinos, extra levels, extra mechanics etc)... we're very open on how to make the game evolve, so any ideas.comments are super welcome! The graphics on the dinos are swell. 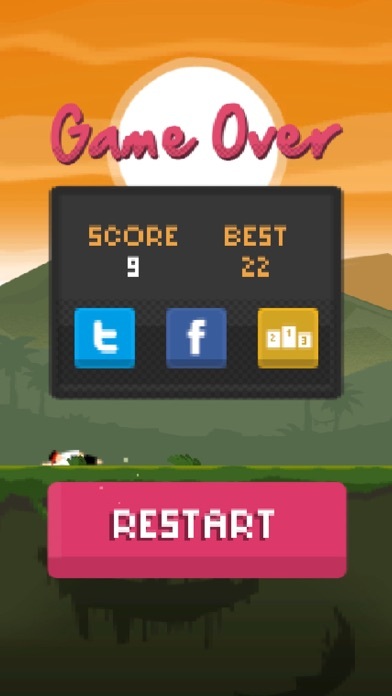 Responsive, simple fun. Neat stuff. An improvement would be to give the karateka a run animation and scoll the background. That way it looks like he is running.